As I mentioned yesterday, I was a little surprised to see that my finished pattern, namely the bust dart, did not match the design I was looking for. I actually traced the BurdaStyle Pattern and here are the patterns side to side (white one is from Burda). My final pattern had a wider dart, which resulted in a more "spikey" bust. I wanted a more "flat" look (I don't know if you can see the difference in the pic below?). So now onto making the dart smaller... Remember this picture from the previous post? 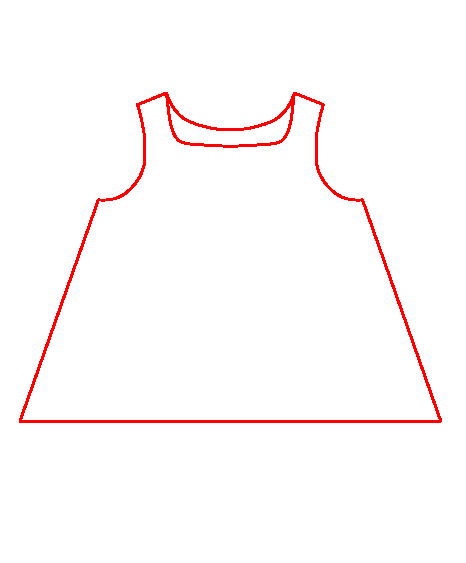 I conveniently had this same piece of paper, but if you do not have it, you can either take a look at the previous post, or you can use the pattern above (the one you created in previous post) slash a line parallel to midline, from hemline to BP. Also cut out the dart and then "open" along the cut line, closing the dart a little bit to make it "smaller" (sorry, I guess I forgot to take a picture of this step). 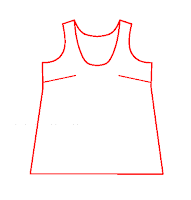 Trace around the pattern pieces, draw the dart again (see Step 9 in previous post), and cut out. This is the pattern you end up with. Since I don't want this to be so wide at the hem, I need to take the extra volume out... 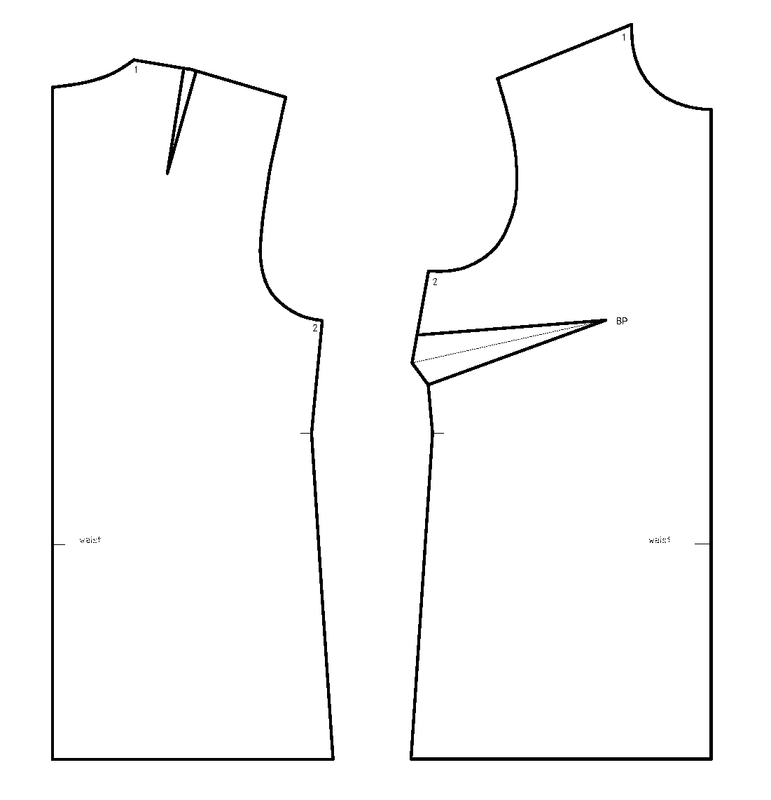 Trace lightly the side seam from Version 1 pattern onto the new pattern (the pic above), then close the dart on the new pattern and draw the new side seam (pic below). Here are Version 1 (wider dart) and Version 2 side by side. Can you tell which is which? Version 1 is on the right.